Manufacturers and suppliers of nylon, cotton, rough top, reel, pvc conveyor belts, transmission belts, v-belts, cotton hoses, braided hoses, pvc high pressure spray hose, pvc suction hose, welding hoses, hydraulic hoses, hose clamps, belt fasteners & bolts, pillow blocks. Engaged in manufacturing and supplying of nickel alloy fasteners, copper fasteners, aluminum fasteners, socket screw, fine fasteners, foundation fasteners, brass fasteners, high tensile fasteners, etc. 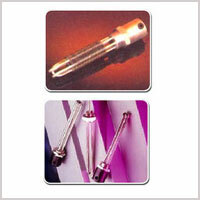 We offer all these fastening equipment at wholesale price. The products available in different material, grades, size and finishing. We are leading supplier of Motors, Pumps, Compressors, Grinder, Gear Pumps, Hand Tools, Bearings, Pneumatics, Power Tools, Electronic Components, Safety Equipment, Fasteners and Machinery Parts etc. We are leading manufacturer & suppliers of threaded rods & bars, anchor fasteners, pole line hardware, hose pipe fittings components etc. Wholeseller and trading of hexagon castle nuts, self locking nuts, hexagon domed cap nuts, durable fasteners, brass screws, brass pins, brass threaded inserts, brass door fasteners, conduit cable gland, etc. 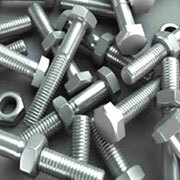 We manufacture all kinds of fasteners. We are leading & provided offer of steel pipes, hollow sections, roofing fasteners, self tapping screw products etc. We manufacture & supplies of rivets, semi tubular rivets, pop-rivets, bolt-nut, washer, spring washers, bi-metallic washers, anchor fasteners, rivet nut, pop-rivet rivets tools, rivet nuts tools & other fasteners items as per drawing/sample components etc. 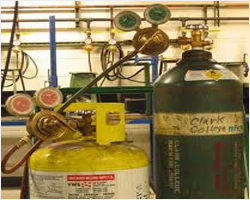 Ohcotech Corporation is a leading supplier of industrial and construction equipment etc. such as Heavy-lifting equipment, Waterproofing systems, Specialty fasteners , Demolition & tunneling systems equipment, Hydraulic actuation systems etc. 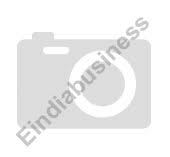 Retailers, suppliers and exporters of steel fasteners, carbon steel fasteners, fasteners, metal fasteners, carbon metal fasteners, industrial steel fasteners, industrial metal fasteners, tubes, pipes, tubes and tube fittings. Gold Range Castings Pvt. Ltd.
Laj Color Leaf (p) Ltd.